Imagine yourself walking into a McDonald’s and ordering a burger. The person, taking your order, would probably ask you whether you’d like fries or a drink with that. Predicting your client’s needs is one of the mainstays of great customer service. SatNav manufacturers can learn from this little gesture and perhaps, give it a nice thought to how it may relate to their business. The past month or so I’ve traveled thousands of kilometers across Western Europe in various directions as part of my plan to get to know the place better. I’m still nowhere close to finishing my optimistic travel agenda, but as I go, I’m getting increasingly frustrated with SatNav devices and their unimaginative interfaces and designs. They are nowhere nearly as versatile as they are supposed to. And today’s tech has the means to enable much better functionality with just a bit more of creative thinking. Current SatNav units are only good for those situations when you know the exact address of the place you are going to and no further. They fail dramatically in helping you explore the world around you. They fail to deliver because their operative paradigm is so much different from the way we, people, get around. My observations are based on an array of devices and dedicated software that I use interchangeably in my trips. I won’t be mentioning names because my disappointment lies with the very logic nested in them and I’m not talking about user interfaces, map coverages or 3D graphics here. I find their very basic principles of operation unintuitive and far from user-friendly. You can’t really evaluate how good a SatNav solution is before you venture out in unknown territories. As a mobile technology editor, I was overly confident. I thought I knew which SatNav solutions are good or bad and evaluated their quality based on the fanciness of the UI and the map coverage. But once I stepped outside the zone of comfort of my home city and found myself desperately looking for something in hectic foreign cities, tired, stressed, with nowhere to pull over to enter new destination or browse the available POIs around me, then I really got to see how poor current SatNav solutions were. 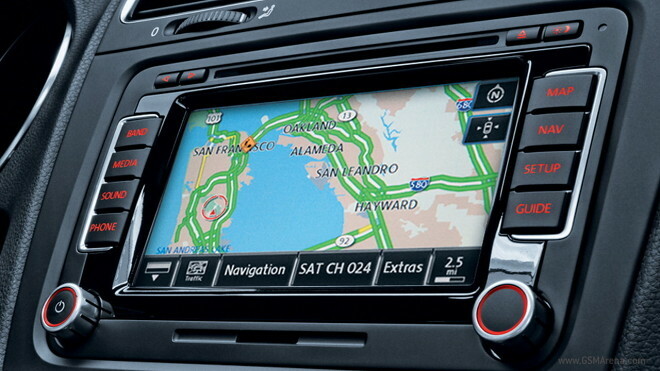 All SatNav’s rely on a single paradigm to operate – enter destination address, navigate to there, done! That’s all fine and dandy, until you break the routine. Say, you don’t have a specific address to go to – there’s a town close by and you want to visit, but you haven’t had the time to google the places of interest there and you don’t know which parking is closest to the Old Town. 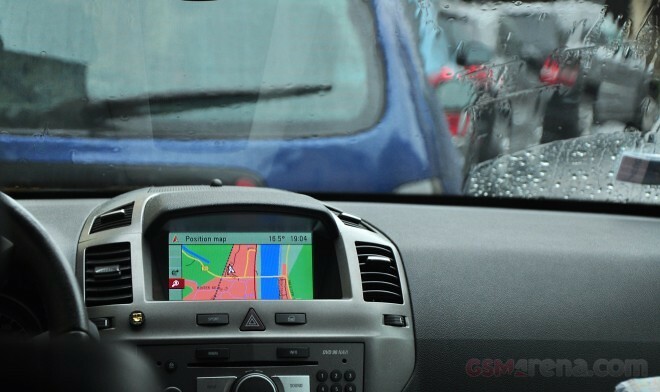 Some SatNavs would get you to the city center but city centers are busy and you rarely have the option to pull over and enter a new destination or look for a new POI such as a parking lot or a mall. Or imagine, you are on your way to a new place, but you realize you need to fill up the tank – you don’t know which gas station would be the easiest and quickest to access on your way and stopping over for re-entering a gas station as a dedicated destination point is out of the question. Or say, you just need to find a toilet to use without straying far from the main road, or your kid’s been yelling for an ice cream for 2 hours straight and you finally need the peace of mind. Current SatNavs won’t be of much help in those situations. I can go all day long with these examples. The concept of a digital personal assistant has evolved quite a lot over the past few years. More recently, it’s used for describing systems like Apple’s Siri, which understands natural human language and fetches you the information you need. Personal navigation devices need not integrate Siri to be your digital assistant. 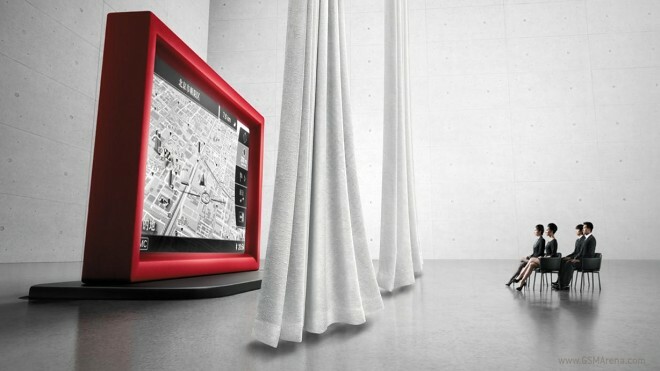 They need a natural human interface – and again, I’m not talking about the graphical UI. A natural human interface is organized according to how humans think and act and is designed to predict the human needs. For humans, not all places they go to are destinations, some are simply necessary stopovers along the way to the real destination. Other times people don’t know their destinations, instead, they just want to get to somewhere and do something. The person navigation assistants should suggest available options for the routes without waiting for the human operator to search for them in the increasingly complex menus. Next time I punch in a new destination address, I’d like my SatNav unit to ask me whether I want to stop somewhere along the route – or whether I’d like a rest place along the highway where they offer coffee. Another thing I would love is that when I set a city as a destination point with no specific address, the device to ask me whether I’d like to visit some of the main tourist attractions or whether I’d need a parking when I get there. I also wouldn’t mind if the system asks me whether I’d like a parking that’s closer to the city center, or one that’s close to a subway station, or even one that’s got the cheapest rates. When you are about to explore a new city, every bit of extra help comes handy. Route planning is where everything comes alive together. Take a look at how Google Maps plans routes and offers alternatives before you’ve even started. Most dedicated SatNav units won’t even bother offering you alternatives by default – they would drive you straight through a congested city center just because it’s shorter that way or they reckon that would be faster than say, taking the longer city ring road. I can accept the fact that the device is not aware of the traffic conditions, but I can’t excuse the lack of any user interactivity. How come none of my SatNav units ask me whether I prefer the scenic route or the shortest route, or even the one that’s got fewer turns (if you’ve got a motion sickness-prone toddler in your back seat you know what I mean)? There should be a way for the gadget to describe the route for you, show you the alternatives (as opposed to having you specifically search for them), then ask you for any planned stopovers along the way (yes, thank you, my kid really needs to go the WC) and finally, ask whether I’d need a parking place at my destination. We don’t need navigators, we need explorers – devices that not only get us from A to B, but ones that also take care of our needs along the way. We need devices that would help us discover the world around us and finally, make us feel welcome guests when we visit new places. And it’s so easy to achieve that with just a little thinking outside the box. So far it seems only software developers like Google or Apple understand these needs and try and address at least some of them. I hope we’ll see even more of this taken care of once iOS 6 comes out, offering turn-by-turn navigation with Siri integration. I can’t wait.